In October 1980, two months before the Ugandan general election, Brig. Moses Ali, the late Suleiman Kiggundu, former President Godfrey Binaisa and Yoweri Museveni flew to Libya to meet Colonel Muammar Gaddafi. They sought and got Gaddafi’s support in the guerrilla war they separately planed to wage against what they anticipated was the UPC government that would be formed after the December 10 general election. Gaddafi, after the humiliation that his 2,000 troops faced at the hands of the Tanzanians in the final stages of the 1979 war, had a score to settle with Tanzanian President Julius Nyerere and anyone he viewed as having been part of the UNLF’s anti-Amin struggle. It was Gaddafi’s weapons and money that transformed the NRA from the near rag-tag guerrilla army it was to the force that started gaining rapid military victories after 1984. 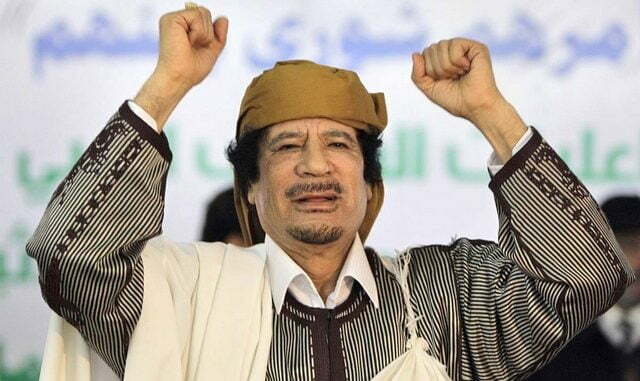 Colonel Gaddafi’s death on October 20 and the gruesome and humiliating manner in which he met his death, has sent shock-waves through much of sub-Saharan Africa and especially in countries like Uganda with which he had long-standing ties. Several Uganda-based companies such as Uganda Telecom, the Windsor Lake Victoria Hotel, the National Housing and Construction Corporation, Tropical Bank (formerly known as the Libyan Arab Bank) and others have had direct Libyan state investment. A grand mosque atop Old Kampala hill that the Uganda Muslim Supreme Council had started in 1972, and which had remained incomplete for more than 30 years, was finally completed with Gaddafi’s financing and named the Gaddafi National Mosque. The other entity that faces an uncertain future following Gaddafi’s death is the kingdom of Toro in western Uganda. Gaddafi, fancying himself a new pan-African monarch, heavily invested in the Toro kingdom and the royal family, sponsoring trips to Tripoli and above all financing the renovation and upgrading the palace in Fort Portal. Because Gaddafi more or less ran the Libyan state at his own whim, it is uncertain what will happen to these many projects and enterprises that he invested in, in Uganda. It will not be easy for the new National Transitional Council government in Tripoli to establish which are Libyan state assets and which are Gaddafi’s. Some might start to face financial difficulties. The new government will certainly not have the same indulgent view of Uganda as Gaddafi did and so a vital source of foreign investment and revenues that used to come from Libya is most likely to dry up. Gaddafi’s ouster from power and subsequent death brings President Museveni nearer the top of the list of Africa’s longest-serving leaders. Only a handful of leaders like King Mswati III of Swaziland, Presidents Eduardo dos Santos of Angola, Obiang Nguema of Equatorial Guinea, Robert Mugabe of Zimbabwe, Paul Biya of Cameroon have ruled longer than Museveni. It makes Museveni look awkward, just as it does the western world that enthusiastically supported the “Arab Spring” uprisings. After all, if it is true that Arab populations that have been stifled by long-serving leaders in Yemen, Egypt, Libya and Syria, why is it not equally true that 25 years of Uganda under one leader is quite enough? 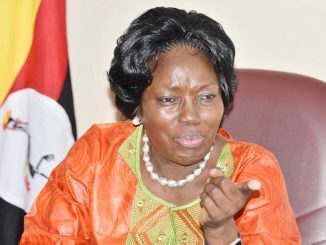 For several weeks in September, a number of Members of Parliament started a petition for a recall of parliament for a special session to review the petroleum drilling contracts between the Uganda government and the Anglo-Irish oil company Tullow Oil. 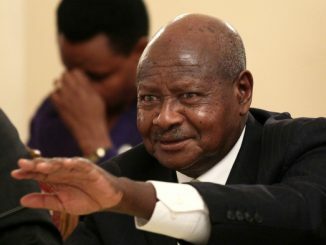 This petition appears to have been triggered off by the latest revelations by the whistle-blowing website WikiLeaks in which U.S. diplomatic cables to Washington mentioned incidents of bribery and influence-peddling on the part of President Museveni and a few powerful cabinet ministers. Not long after that, a document or set of documents made their way into the public domain, purporting to provide documentary proof that what had been alleged by Ugandan sources in private discussions with American diplomats in Kampala, was in fact true. The documents at first glance seem authentic. They mention a bank in Malta and display a list of what look like international money transfer details to a genuine-sounding company in Nairobi, Kenya. Upon closer inspection, it becomes clear that most of the documents, except perhaps the covering letter, are a forgery. Many people have speculated that the documents came from a European or North American rival to Tullow which currently is the lead driller of oil in Uganda. However, it becomes clear after closer examination that whoever wrote these documents, it must have been a Ugandan. All cash figures shown end with a zero. Even the exchange rate is given as a rounded figure of 1.00000000 and so on. It is only in countries like Uganda whose currency no longer has fractions. No cents, no odd numbers, no prices like 435 shillings or 1,307 shillings. Also, the essence of the documents points fingers mostly to powerful Ugandan ministers and barely to Tullow. Whoever authored them knows the Ugandan power structure, knows Ugandan politics and knows the effect that listing certain individuals like Sam Kutesa will have on Ugandan public opinion already suspicious of them. In other words, whoever authored the documents seemed more intent on inflicting harm on the Ugandan ministers mentioned than on Tullow. It seems possible, at least according to this writer, that the author or authors of the documents is somebody from deep within the government calculating on discrediting the ministers mentioned in the report. The cover letter that accompanies the documents has the ring of authenticity to it. Whoever forged the documents must know this and decided to provide “evidence” that would authenticate the claims contained in the WikiLeaks documents. However, the motives and scheming by the author of the documents aside, this saga, intense national interest and live broadcast parliamentary debates on the bribery allegations have achieved one thing: they have made it clear that the NRM government is going to have to be very careful in how it handles Uganda’s oil wealth. The campaign that started in April dubbed “Walk-to-Work” and coordinated by the Action4Change pressure group, resumed in October after a lull of several months. The Uganda Police swiftly broke up the protest walk and held the President of the Forum for Democratic Change party, Dr. Kizza Besigye, under virtual house arrest for more than a week at his Kasangati home. When the walk-to-work campaign started in April following February’s general election, it was a novel idea and produced the most sustained protests of any kind Uganda had seen since independence. But by October, the novelty had worn off and both the number of well-known public figures walking to work and the media coverage had reduced. Even though the walk-to-work effort this time was less effective than the first round in April, the state clamped down hard, issuing charges of treason against the activists whom the police had arrested. For the NRM government to get to the stage of charging civic activists with treason just for the act of walking to work, reveals the fractures within the government and the fear it has of an imminent mass uprising. Armed rebellion in Uganda over oil? For most of the period after 1986, the armed rebellions that raged in Uganda took place in the northern and northeastern parts of the country. People from northern Uganda had dominated the military and politics for 24 years since independence and therefore the rise to power of the Bantu-dominated NRM in 1986 was a strong enough incentive for many groups to sustain a rebellion in northern Uganda. A few armed groups like the Allied Democratic Forces or ADF and Major Herbert Itongwa in 1992 and 1995 respectively attempted to wage war against the Museveni government from bases in central and western Uganda, but there was not a sufficient reason for young men to join these rebellions. There was a feeling that the south and west of Uganda were by and large better off under Museveni’s rule than the two decades before. But now has finally come a subject emotive enough not just to unite ruling party and opposition members of parliament in their call for a public disclosure of the oil contracts, but to interest and anger the general population. With an increasing number of Ugandans living in wretched conditions and desperate poverty, oil is a cause that is persuasive enough to rally a guerrilla war around. The persistence of Nigeria’s armed groups like the Movement for the Emancipation of the Niger Delta (MEND), fighting to ensure that the Niger Delta gets its fair share of the country’s oil revenues, is one example of how emotive oil and other high-value natural resources can be. 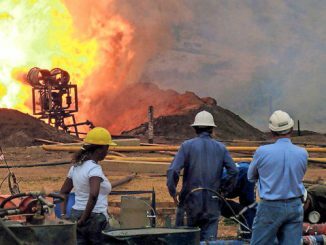 Because the oil fields are located around the Lake Albert in Bunyoro, a Bantu-speaking area, oil is such an emotive national issue that it can stir enough people from central and western Uganda to take up arms under the pretext of fighting to protect the oil from corrupt deals.